Rather than putting your money into bricks and mortar why not put it into the ground? Nope, we’re not talking about burying treasure like a pirate, we’re suggesting that your hard earned cash could be making money for you if you invest in car parking spaces. With a guaranteed 8% annual yield those with some money to invest are turning to car parking as a way of making more cash than they would otherwise see from traditional means of saving like storing cash in building societies and banks. A growing number of retired folk are turning to this form of investment as a way of building up their Self-Invested Personal Pension (SIPPs). There’s a lot of logic to this decision as projections show that car parking spaces will become even rarer than they are now in future years as the population continues to increase, life expectancy improves and Britain’s roads get busier. Motoring organisations believe that there will be 39 million vehicle on Britain’s roads by 2030 so there will always be plenty of demand for car parking spaces. The suggestion here isn’t that you set up a business to sell your car parking space to the public but that you rent it out to an individual through a management firm, like you would do with a second home or other rental property. You’ll need a minimum investment of around £20,000 which typically make the space yours for 6 years. Of course, it goes without saying that you’ll need to make your money back plus a profit in this period so the rental rate is key. The location of the car parking spot is the most important thing. 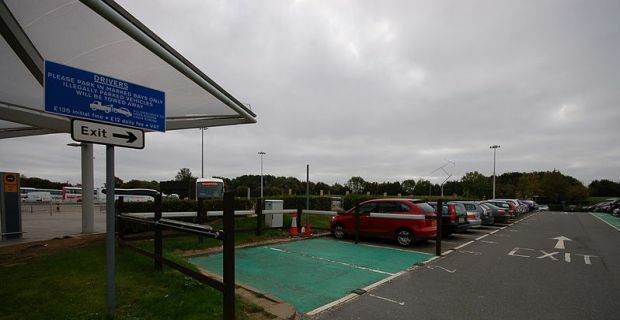 You may want to invest in a car park near to an airport as holiday makers will always need somewhere to park their car. Firms like FJP (fjpinvestment.co.uk) offer a hands off investment where your money is invested in a car parking space and they do all the work to channel the funds back to you from holiday makers. A typical £20,000 investment in one car parking space will yield 8% in the first two years followed by 10% in the next two and 12% in the final two years of a 6 year deal making you £17,000 profit from your investment in six years.